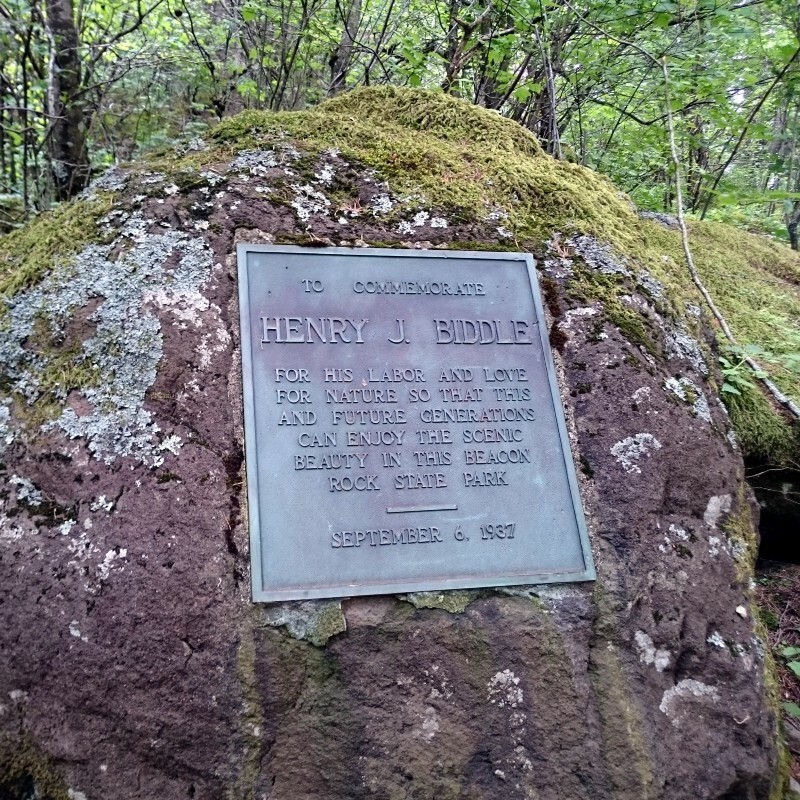 The trail was completed by Henry Biddle and his son over the course of three years. 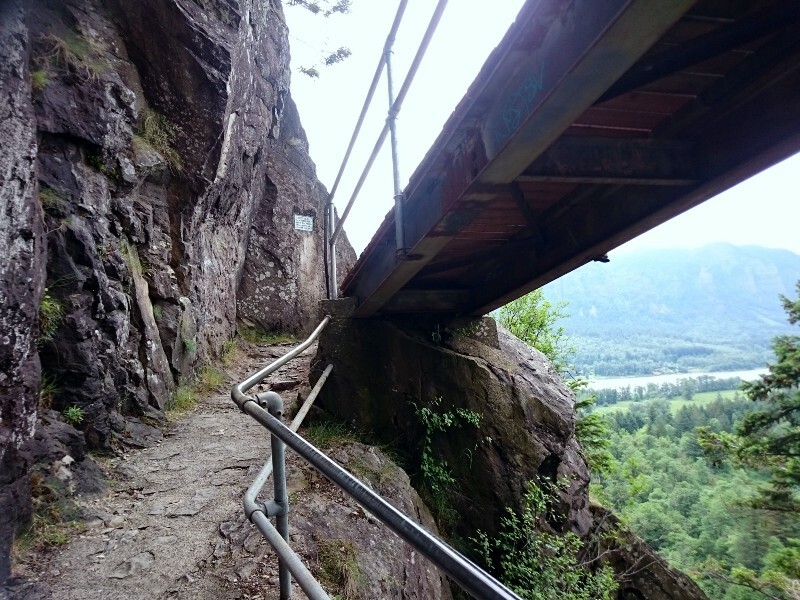 The ¾ mile trail to the top consists of 52 switchbacks and 22 steel bridges (originally wood). 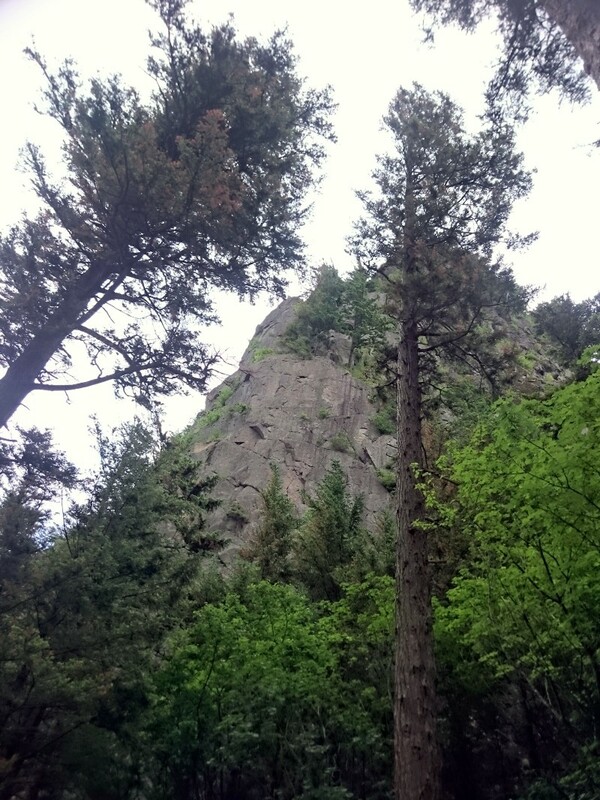 The Biddle family saved the rock from being destroyed by donating it to the state of Washington. 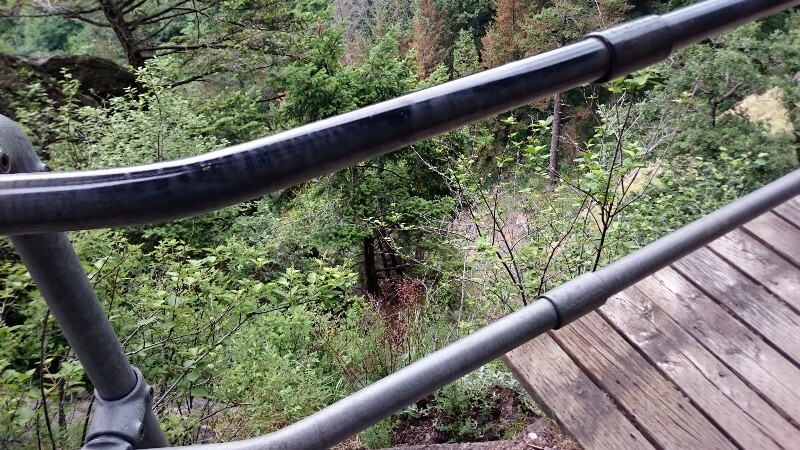 The hike to the top is pretty easy and quite safe thanks to the handrails along it. This is a popular destination and can be really busy with people on any given day. 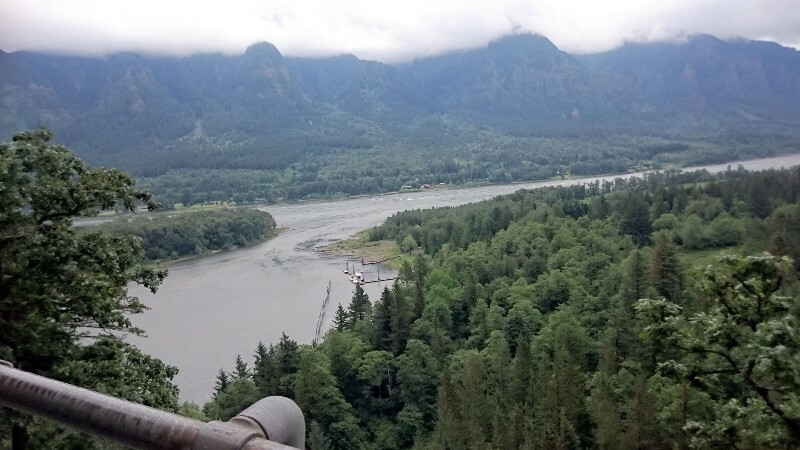 The rock is located directly off of Route 14 which makes it a popular stop for anyone traveling east of Vancouver, WA. 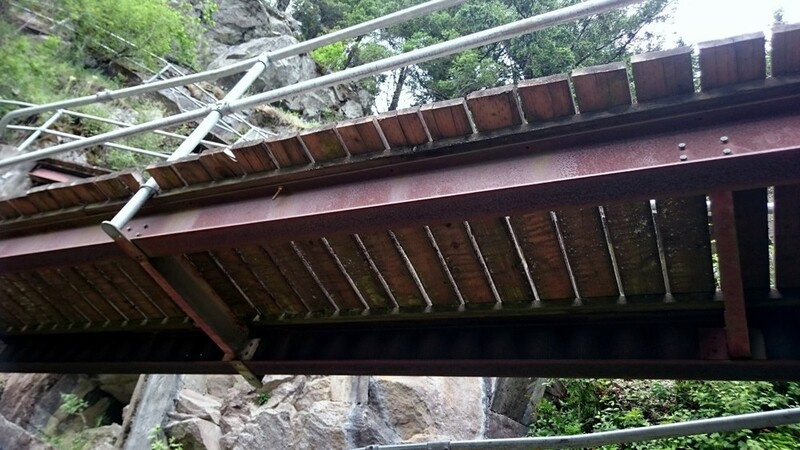 Don’t expect much trail etiquette here. 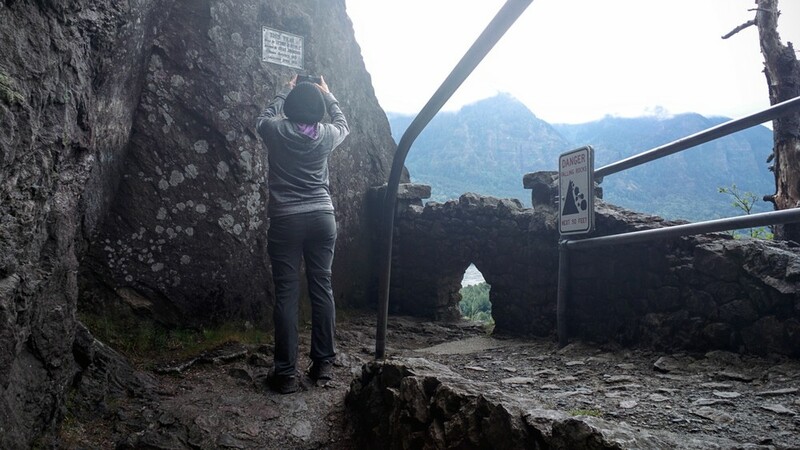 The “hikers” that complete this are mostly families making the stop during a road trip they’re taking elsewhere. You’ll see plenty of unaccompanied pre-teen children running the trail, dogs on and off leashes, and parents pushing strollers (some of them are double wide?) that are far too big for the trail. 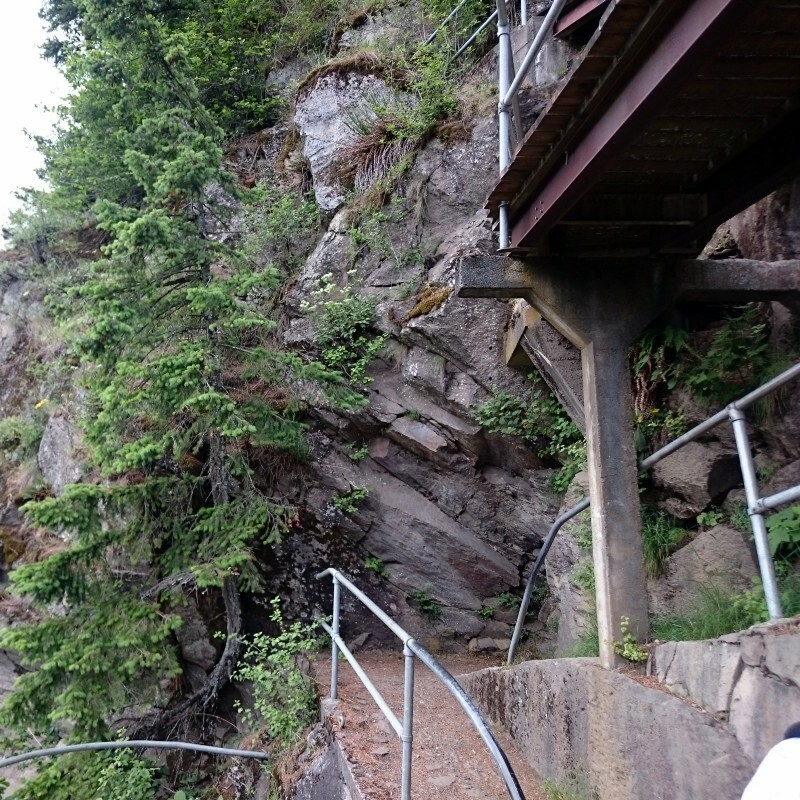 The majority of these people, upon coming back down, will not stop to let you by on your way up. You’ll be making all the stops for them. Still, with all that being said, this is a must if you’re in the area. If you’re coming from the Seattle area you’ll take I-5 southbound to Vancouver. From there, it’s a 42 minute drive east along WA-14. 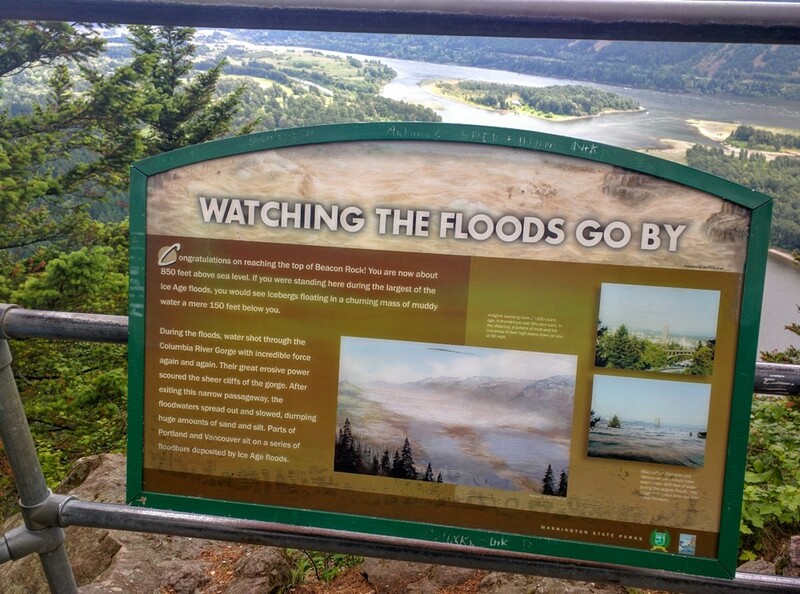 The first signs you’ll see are for the state park open area spot. If needed, you can make a stop at that parking lot where there are restrooms available. If you want to go straight to the rock, keep driving east for another mile. You’ll reach its parking lot off of the highway to your right. Make sure you have a state park pass displayed in your vehicle. The park ranger was out writing tickets once we returned from our hike. According to the park’s website, there’s an automated pay station in the area to purchase passes from. The trailhead is located in the parking lot. Stop by the trail board for additional information. You’ll also see a sign describing this 57,000 year old volcanic remnant, and a plaque honoring Biddle, near the trailhead. 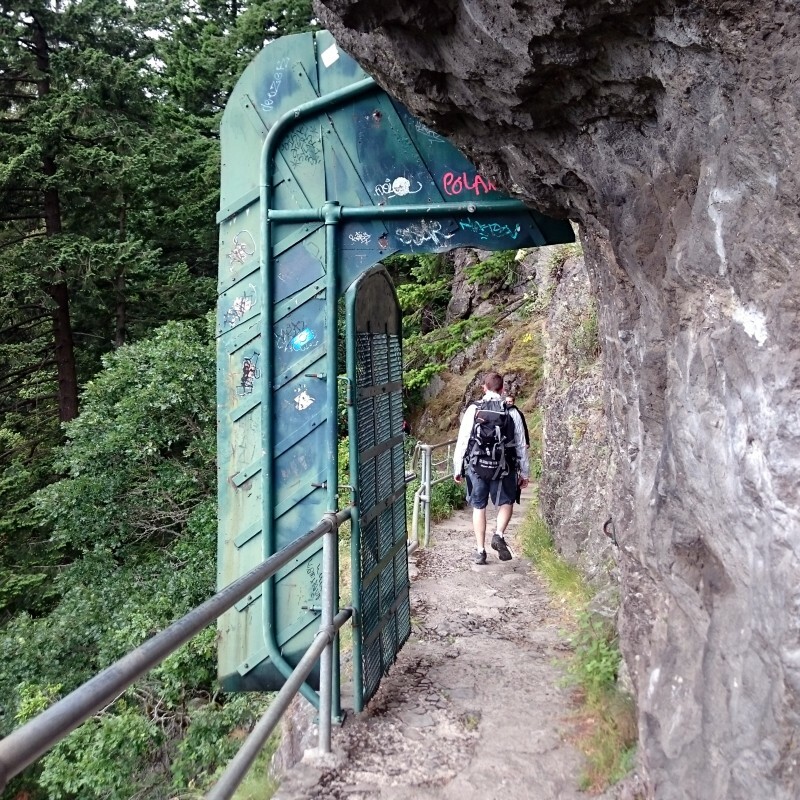 Start hiking and you’ll soon reach an open door that lets you access the trail. This door is closed and locked from dusk until 8 AM. 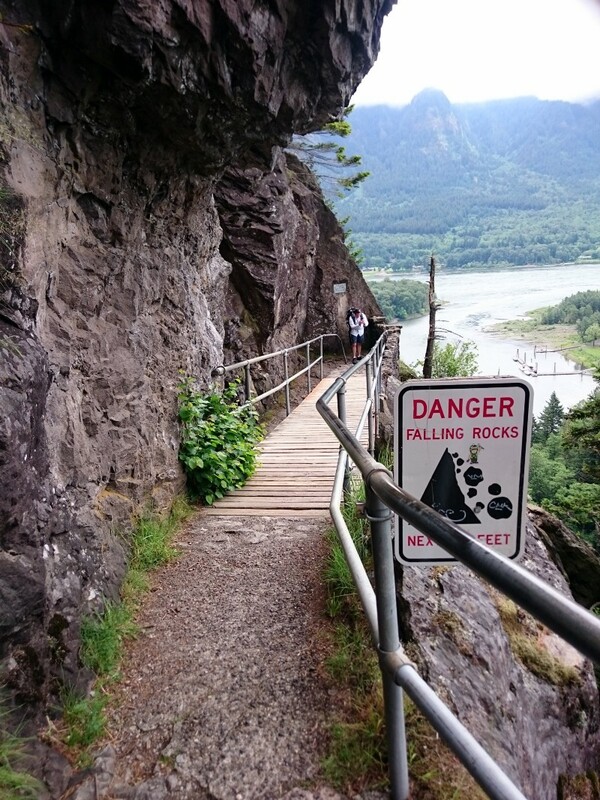 Along the first 50 foot portion you’re warned of falling rock. We didn’t experience any, but with the amount of people on the trail we’re sure this is a possibility. Soon you’ll come across a trail dedication plaque and there will be an opening in the bottom of the wall which we found odd. Now it’s just a matter of taking your time navigating the 52 switchbacks that wrap around the west and south side of the rock. Taking pictures is a must and as you climb higher you’ll notice that the view gets better and better. So you’ll be taking a lot of the same photos over and over at different elevations. 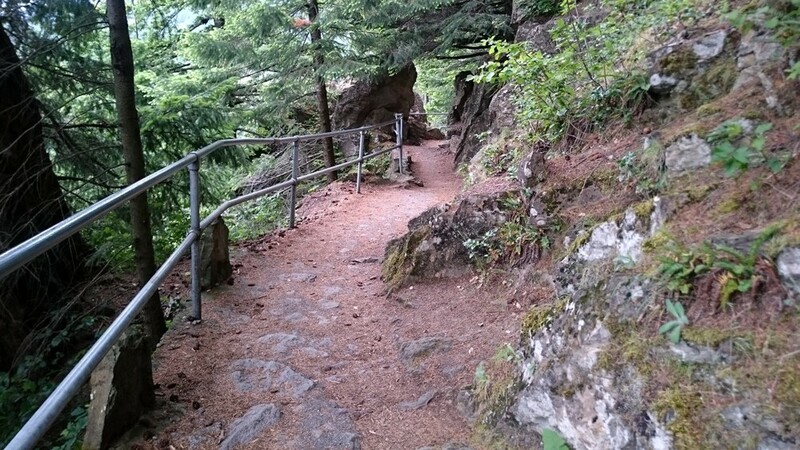 Like mentioned earlier, the trail was very busy when we went. You won’t be the only one taking photos. You’ll have to pause and wait a few moments for others since you can’t pass in many spots without getting in the way. Once you reach the top you’ll be surprised at how easy and quick this was despite the 600ft gain in elevation over a short distance. 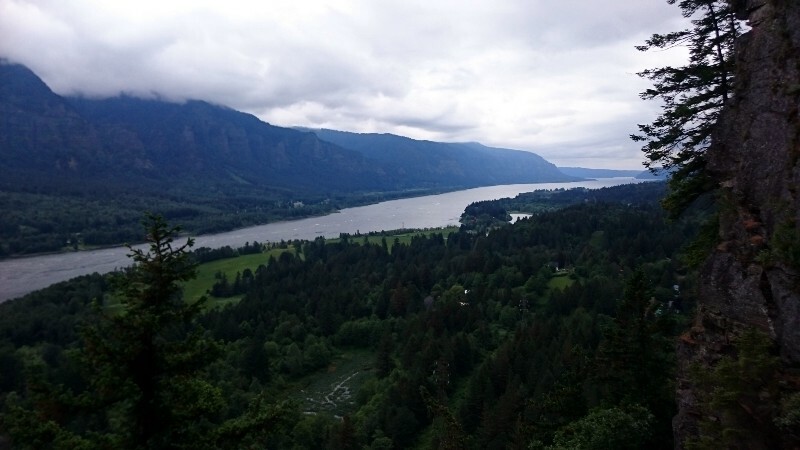 The views from the top are good, however, other parts of the trail on the way up did provide some of the better ones. There’s a marker at the top indicating the elevation and some signage with more history. This is a small area here and it was very crowded while we visited. The very tip top can only accommodate a handful of people and as stated earlier, etiquette was pretty much non-existent. There happened to be a family of 4 at the very top sitting down and having a picnic. 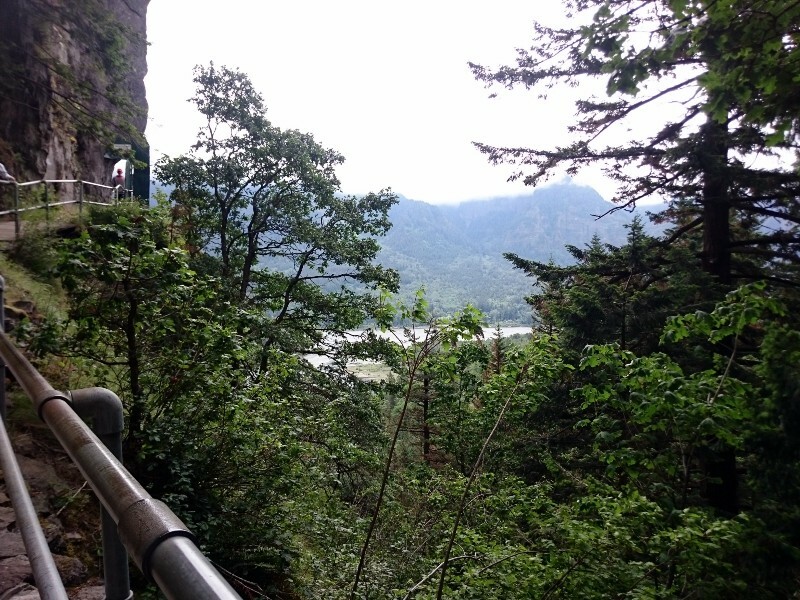 Completely disregarding all other hikers around them trying to get the best view from the top. No problem, this just gives us a good reason to return again some day. Coming back down is easy and quick. The round trip time, including all the stops for photos, was about an hour for us. We were on a tight schedule so we didn’t have much time to explore the rest of the park. 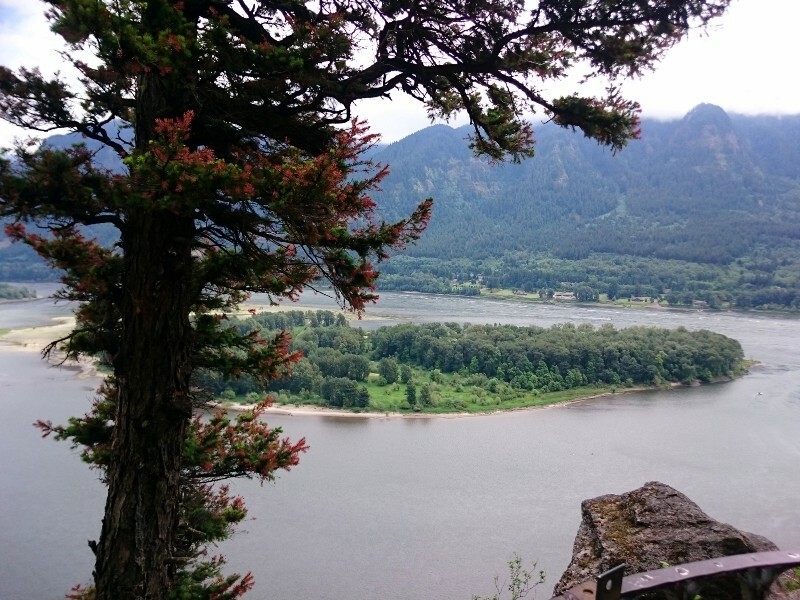 There are 8 miles of other hiking trails, plus water activities, and camping available. See the park’s website for more info. Crowds aside, this is worth your time. 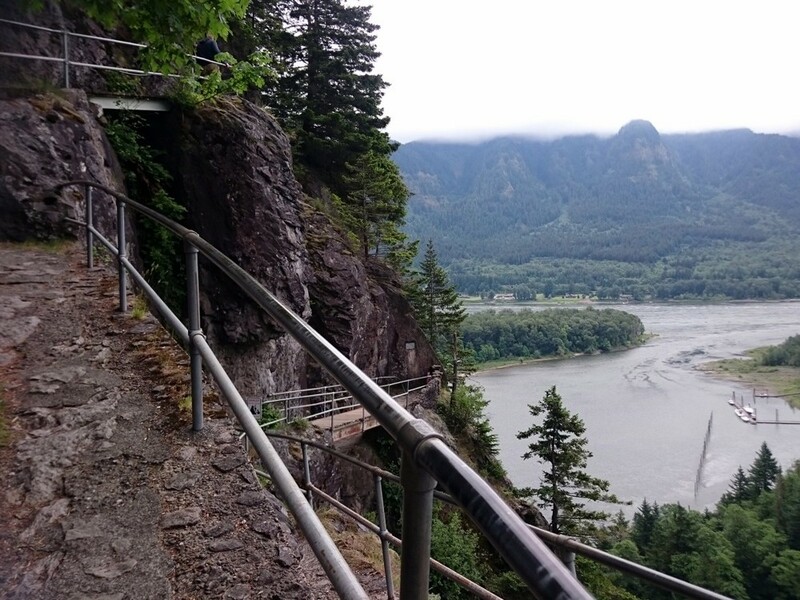 History, views, nature and fresh air all excellent reasons to visit Beacon Rock!